1.When you want to make writing that term paper a little more fun, turn to our White LED Pen! 2.Not only is this White pen perfect for making boring papers more enlightening, but it's also great for those of you who need to burn the midnight oil while your roommate sleeps. 3.This light up pen has black ink, plastic casing, and 2 high-powered white LEDs that are activated when the pen is put to paper, so you can see what you're writing. 4.This LED pen is also great for keeping score at a nighttime golf tournament, checking in guests at a nightclub, and signing checks at a dim restaurant. With dozens of possible uses, this handy light up LED pen is a must-have for everyone! 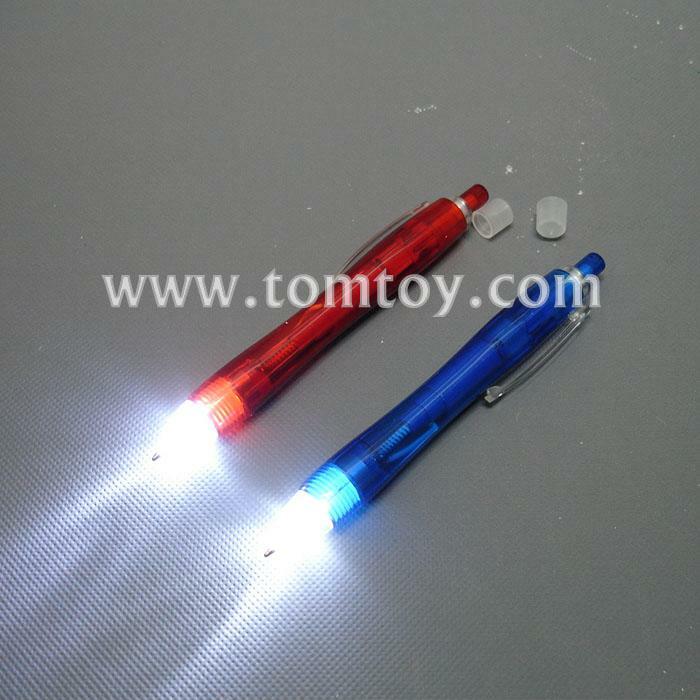 5.Our LED Pen comes with two AG3 batteries included and installed.